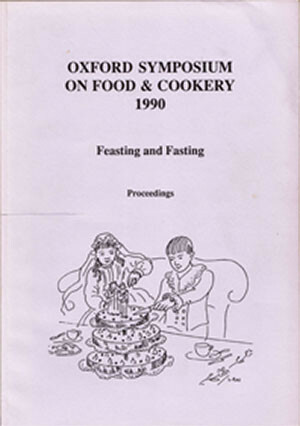 There was a fine range of papers submitted to this Symposium in 1990. The keynote talks were by Theodore Zeldin, Astri Riddervold, Bjorn Fjellheim and Marit Ekne Ruud (as the names may indicate, these last three authors hail from Norway). The sorts of feasts discussed by the various contributors include medieval banquets by Professor Phyllis Bober, the Bayeux Tapestry by Robert Chenciner, Early Greek Banquets by Andrew Dalby, Anatolian Feasts by Nevin Halici, Thai Feasts by Philip Iddison, The First Communion Banquet by Alicia Rios, and Table Decoration in the Netherlands by Joop Witteveen.